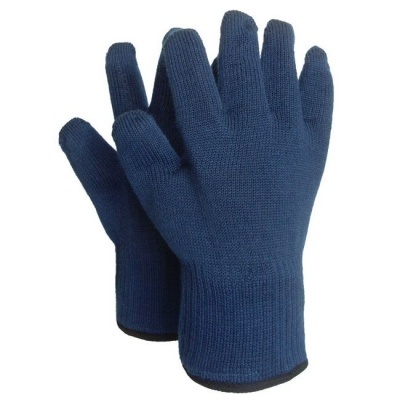 Most heat resistant kitchen gloves will protect your hands from contact heat, but not steam. The Coolskin Steam Oven Gloves have been designed to shield your hands and wrists not only from hot surfaces, but steam as well, which makes them suitable for both home and professional settings. Like all Coolskin products, the Steam Oven Gloves are made from a duplex structure, which delivers a glove within a glove effect. The outer layer offers excellent heat protection, while the inner, cotton-lined latex layer, ensures steam resistance. The Coolskin Steam Oven Gloves are available in one size that should fit most adult users. 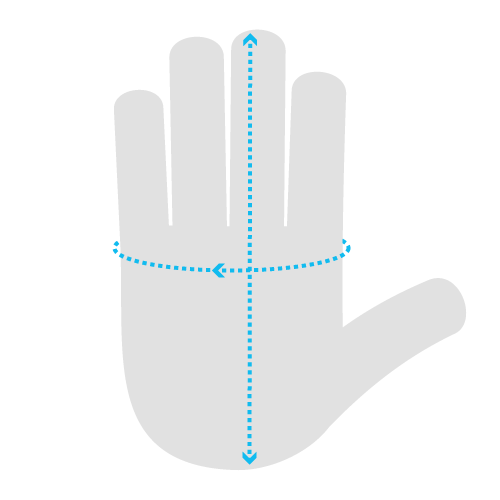 Please measure the circumference of your hand around the knuckles (excluding the thumb) with your hand open and your fingers together. Then, measure the length of your hand from the tip of your middle finger to your wrist and consult the table below. The total length of a glove, from the tip of the middle finger to the end of the cuff, is approximately 27cm for added wrist protection. Please note that, unlike other Coolskin gloves, the Steam Oven Gloves are not ambidextrous.